Specifically designed to monitor the condition of 100V line speaker systems in emergency paging and fire evacuation installations. Traditional line monitoring units were limited to 50W per zone and would not handle this load. The A 4567B can handle loads up to 500W per zone. 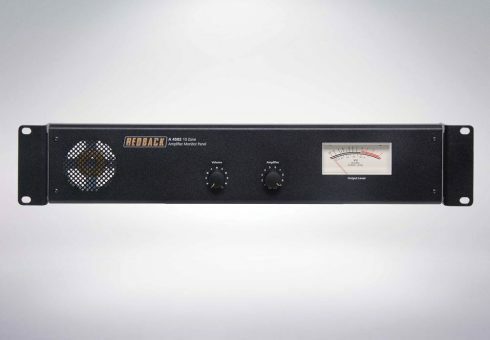 A handy aid to test and adjust 100V line PA amplifier output levels. 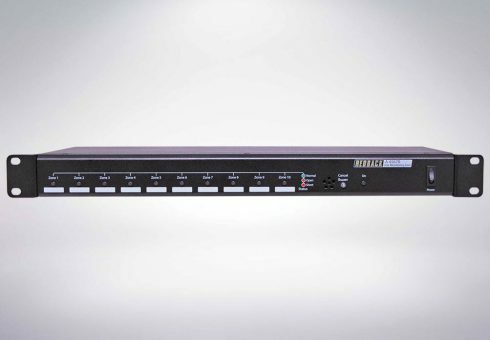 Capable of monitoring 10 individual amplifiers (electrically isolated from each other to prevent cross talk). Audible and visual monitoring is available from the built in speaker and VU meter. 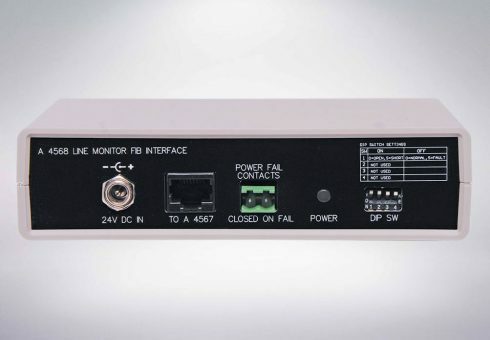 Designed to interface the A 4567B Line monitoring unit with a fire indicator board. The addition of the A 4568 enables you to monitor the status of each individual zone. This module has been designed to monitor the integrity of 100V Line speaker circuits. It is connected between the amplifier output and the speaker circuit. 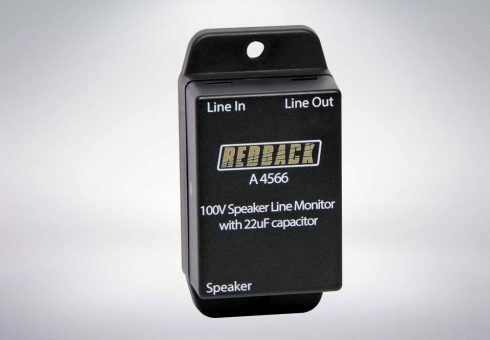 The module will detect one of three speaker line conditions. (Normal, Short Circuit or Open Circuit).